I’m overworked. No, really, I’m always overworked but now I’m acutely overworked. That’s why I thought that before resuming work, I could grab a blogging break. Not a break from blogging but a break to blog. You know, so I could feel guilty afterwards for not having been working. I’ve been successfully excessively panicking today on multiple occasions. To an uninvolved observer, it would probably look extremely hilarious. Even I, a very involved actor in the fits of panic, could appreciate some of the humour in it. I had the best meltdown when I couldn’t find my favourite cat toy. Not my cat’s favourite toy, she is indifferent to all toys, but my preferred toy out of the collection of cat toys I use as home decorations. I was looking for it everywhere. Repeatedly. I blamed the cat for losing it. I have no idea how the cat does that but she sometimes does lose a toy. She must be eating them. When I was on the verge of hanging myself on a cat string toy, it occurred to me that I must have collected the missing toy accidentally from the floor with the bed sheets I was changing and must have put it in the laundry basket. Yup. There it was. I thought I lost it forever. I’m unreasonably attached to cat toys and I probably only have a cat because of the toys. To immortalise said cat toy, I just snapped and Snapseeded it and it goes with this post. So much panic for such a little thing. Seriously. 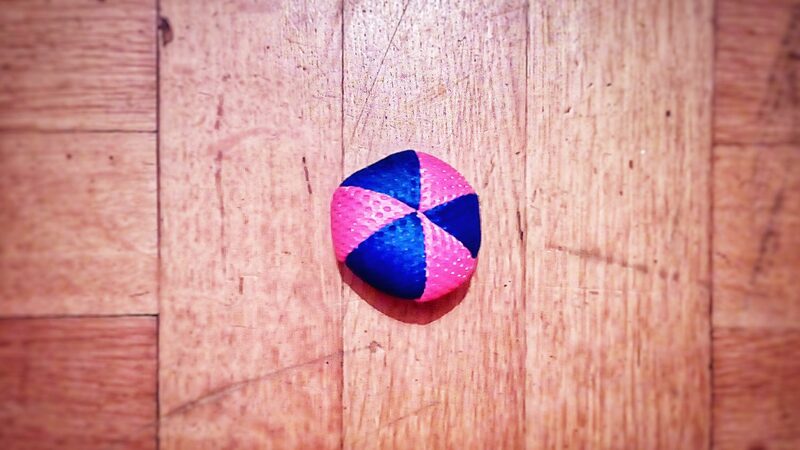 Looks like a little Hacky Sack. It’s cute. So glad you found it. Does the cat have any feeling about this? Hello there, great to hear from you! We’re quite similar it seems! Which might not necessarily be a good thing, when it comes to overworking oneself and freaking out about silly little things… I too hope you’ll find a balance and slow down a bit! Yes, I’m hanging in there, thank you! Ups and downs as usual but hey, hanging in there 😉 The good thing is to recognize that you’re unbalanced – and then work on the balance again. That’s a start. And you’ve got that as well – hope you’re finding your balance as well, at least every once in a while! If I was a fly upon your wall I would probably be staring at your goings on and chuckling to myself. But I do get the panic of not knowing where something is when you know it should be someplace but where? Does the cat play with said toy? I can totally see why you love it. It’s so pretty. How could the cat be so indifferent to its beauty?! Seriously. I had one of those can’t see for looking episodes that spanned two days. I was desperately trying to find some of those slim birthday candles that last all of 3 seconds (which is quite long enough if you ask me). I knew I had some. After I gave up looking, they appeared in the very spot I had looked in a dozen times …. grrrrrrrr!!!!!!!! The cat is silly not to play with her great toys, so it’s up to me to play with them 😀 Exactly as you say, sometimes the thing you’re looking for suddenly materialises where you never saw it before! Frustrating. She’s just the laziest cat ever.